Two weeks after they regained freedom from Boko Haram, the 82 Chibok schoolgirls yesterday reunited with their families in Abuja. Although journalists were not invited to the reunion, THISDAY gathered that it was held at the Department of State Service (DSS) Clinic in Abuja. A statement issued by the Chief Press Secretary, Federal Ministry of Information, Mr. Joe Mutah, described the reunion as “emotion-laden’. The statement said the 82 girls were first reunited with 24 other girls, who were rescued by the Federal Government last year. Some of the photographs from the reunion showed sobbing parents hugging their daughters whom they had not seen since they were abducted from their dormitories in April 2014. One of the photos showed some of the rescued 82 girls in joyful mood when they reunited with the 24 others rescued last year. According to the statement, Minister of Women Affairs, Jummai Alhassan, represented by the Director Planning, Research and Statistics in the ministry, Mrs. Abidemi Aremo, said a group of experts had been put together to address the girls’ psycho-social support and medical needs. “The children are being rehabilitated and we believe that in due course they will be properly aligned with their families. “Intensive medical attention is being administered and as soon as they are done, they will be enrolled into a remedial programme,” the statement quoted the minister. Alhasan disclosed that the 24 others who were rescued last year were currently undergoing psycho-social counseling and remedial programme preparatory to their enrollment in school next academic session. “For the 21 and three girls that were earlier released, I wish to inform us that their psycho-social counseling is still in progress and of course they have started remedial classes. They are being taught five subjects, which is designed with a view to getting them back to school come the next school session, which is in September this year. They will be settled in various schools and I am sure they will continue their education from there,” she said. She stated that the federal government had intensified efforts to rescue the remaining girls in captivity. 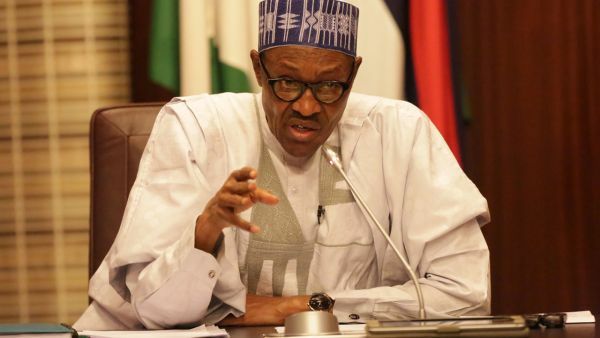 The statement quoted the chairman of the parents of the abducted school girls, Yakubu Nkeki, as saying their joy had no bounds and thanked President Muhammadu Buhari for wiping away their tears. Nkeki said he had high hopes that very soon the remaining girls still in captivity would be rescued. Also yesterday, the United Nations Population Fund (UNFPA) gave more insights into the rehabilitation process which the rescued girls are currently undergoing. The Deputy Representative of the UNFPA, Mr. Eugene Kongnyuy, in an interview with some select journalists on the efforts of the agency to rehabilitate the girls, said the Federal Government would formally handover the released 82 Chibok Girls after concluding the ongoing medical assessment on them. Kongnyuy said that the 82 girls were currently under the care of the Ministry of Women Affairs and when all the necessary assessment were concluded, they would be officially handed over to the agency in addition to the 24 of them they are currently catering for. “I had a bilateral meeting with the Minister of Women Affairs, that was last week (May 8) and they were still undergoing medical assessment at that point in time. We in UNFPA have not been able to see them because they said the girls were undergoing medical assessment because they had similar medical cases as with the previous 24. We are hopeful that once the assessment is done, the necessary training is given, then, they will go to where they are supposed to live and that they will take similar nine-month rehabilitation programme as the previous 24 girls, ” he said. He said that when the girls eventually come under their custody, they would be provided with physical, medical as well as psychological rehabilitation. Kongyuy assured that UNFPA would help the girls reintegrate successfully into the society and highlighted some of the efforts currently put in place to achieve that, including education and vocational training. He also disclosed that the rehabilitation process was necessary because several of the girls suffered trauma due to three years of physical, emotional and psychological abuse by their captors. He said: “As you are aware, the United Nations Population Fund (UNFPA) support is for the 24 Chibok girls that were released, 21 plus three, and now 82 girls have also been released. And, they are under the safekeeping of the Federal Ministry of Women Affairs. UNFPA received a request from the Ministry on certain specific areas that UNFPA has comparative advantage. These include physical rehabilitation, medical rehabilitation, psychosocial rehabilitation as well as livelihood support. The UN official noted that “the girls were asked question whether they wanted to go back to school, formal education, or they wanted to follow a vocational training track. They divided themselves into two groups. Those that decided to pursue formal education, teachers were recruited to actually fast-track their preparation for JAMB because they were kidnapped, as they were about to write their JAMB, so that they can proceed to university”. Speaking further, Kongnyuy disclosed that most of the earlier released 24 girls had been reportedly allowed to see their family from time to time. “We have been able to see the 24 girls, and we had access when we request through the minister . According to the discussion we had with the minister, the girls have frequent interactions with their families. “Their families do visit them where they are, and they do go back to their homes in Chibok from time to time, depending on when they choose to. 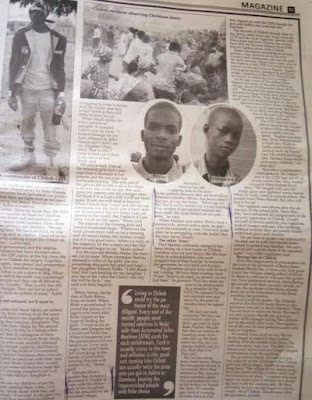 They do have frequent interaction with their parents, and with their spouses for those who were married before they were kidnapped,” he explained. Altogether, 106 Chibok schoolgirls have been rescued through the prisoner-swap deals brokered on behalf of the federal government by the government of Switzerland and the International Red Cross. The girls were abducted in April 2014, from their dormitories at Government Secondary School by Boko Haram that waged war of terror on the North-east of Nigeria in a bid to establish an Islamic caliphate in the region.